CNC metal machining involves metal being machined at extremely high speeds. As a result of the high speeds, the machine tool gets hot, so oil-based coolant must be used which generates mist. The mist contains tiny droplets of oil, so if it’s not collected properly, it gets breathed in by workers, clogs up HVAC filters, and coats machines, walls, and floors of the metal working shop. 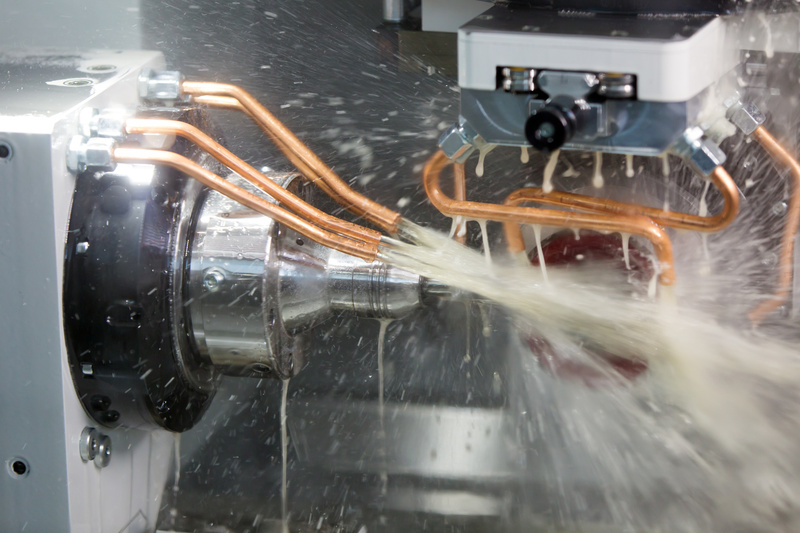 This is where eliminating CNC coolant mist comes into play, as it is pertinent to safety, maintaining component quality, and guaranteeing an efficient manufacturing process. Mist collectors are able to recycle the oil-based coolant mist back into the machine tool, reducing the chances oil and dirt clog up your heating and cooling filters, saving you money in the long run. In addition, if the proper mist collector is not used, it is likely the oil mist will eventually begin to interfere with the workings of sensitive electronic equipment in the area and can create slippery, hazardous floors for employees from building up over time. Studies have shown exposure to metalworking fluids and machine mist can cause a multitude of health risks. An oil mist filter goes a long way in helping keep your shop in compliance with OSHA and EPA regulations. Utilizing mist collectors in order to eliminate coolant mist as a result of CNC machining is a great way to keep your shop area clean, productive, and ultimately reduce machining expenses. For more information on selecting the best mist collector required to eliminate CNC coolant mist, check out the decisive guide here.